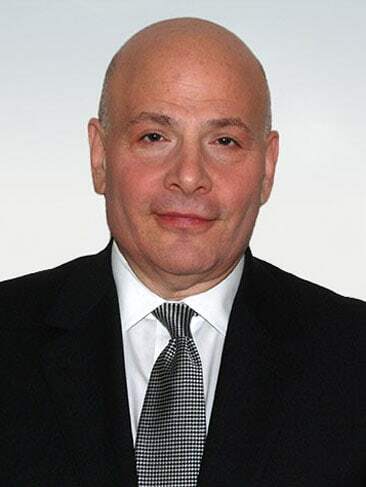 Paul S. Reback, founder and President of Capital Estate Advisors, Inc. has been enabling clients to achieve their financial goals and live their dreams for the past 30 years. Capital Estate Advisors, Inc. is a Registered Investment Advisory Firm (RIA) located in New York City. With all the right credentials—Paul is a Certified Financial Planner (CFP)—he also brings a unique level of listening across the desk or through the phone, to each and every client interaction. With this kind of intense listening, he often hears what is not being said—by individual clients, partners, stockholders or between two halves of a couple with different agendas and risk tolerances. In addition to finding solutions to all financial challenges, helping people meet their goals and making sure they will never outlive their money, Paul is also notable for his willingness and ability to help clients in other areas of their lives with advice, counsel, connection to one or more of the other professionals in his extensive network, and any other resources. Finding the perfect financial advisor to entrust with not only your assets but also your hopes and dreams for your present and future–and that of your family–has never been easy. So many professionals seem to have an agenda: they want to sell you their financial products in a one size fits all scenario. Many hardly seem to be listening. Others make you feel stupid when you ask questions. Like all meaningful relationships, you need to find someone who listens, who cares, who is readily available, responsive and proactive. In sum, you need someone you can trust, who will treat you as you want and deserve to be treated. But how to find such a perfect match? 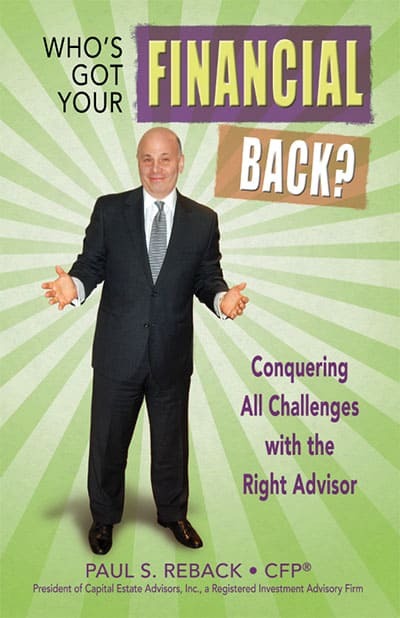 The first step is to pick up your copy of Who’s Got Your Financial Back? Conquering All Challenges with the Right Advisor, by Paul S. Reback, CFP.® The book will give you a powerful and unique perspective on this relationship from the “other side of the desk.” The author covers every aspect of the kind of connection you should be looking for, and exactly what to ask and observe so you know you have found “the one.” Along the way he provides his own rich history, along with sage advice on everything from setting estate planning goals and dealing with dependent adult children to when, how–and if–to retire. He even defining what wealth really is, and how to know if you are truly “rich.” The client stories alone are worth the small price you will pay for a book that is literally priceless. Find out more about Paul and Capital Estate Advisors and how Paul helps people meet financial goals. Paul’s blog right here in the forum.